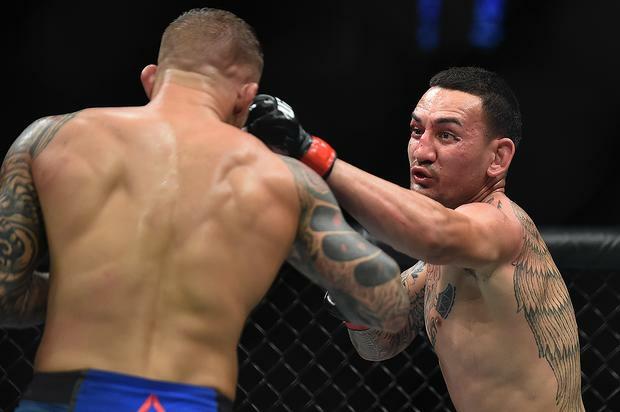 Dustin Poirier just came off an impressive victory at UFC 236 where he defeated Max Holloway for the Interim Lightweight championship. Now, Poirier is looking ahead to his next fight and right now, he wants a go at one of the best fighters in the world. Speaking to TMZ Sports, Poirier explained how he wants to fight Khabib Nurmagomedov. Of course, Khabib’s last fight was against Conor McGregor, a fight which he won pretty easily. Poirier is 25-5 in his career, while Khabib is a perfect 27-0. If the two were to fight, Khabib would be the heavy favorite. Regardless, Poirier says he’s impressed by Khabib and that being able to amass such a great record is no easy task. “Mixed martial arts is a crazy, crazy thing to do man. There are lots of variables and lots of ways to lose. To go [undefeated] …That’s impressive. Of course, I’m impressed by him,” Poirier explained. Who do you think would win a fight between the two? Would you want to see it?